Now-a-days few people can pass up a quarter they see on the ground, one would think the same would be true back in 1819, but this certainly was not the case. It is unfair to say the quarter was invaluable, rather it was so valuable that it was either melted for silver or hoarded. In the early 1800s, the American quarter-dollar fell victim to a phenomenon called Gresham’s Law which simply put means “bad money drives out good.” This economic conundrum basically outlines what happens when two monetary commodities with legal tender and similar face value circulate within an economic system at the same time. In 1807, both the quarter dollar and Spanish two-reales shared legality and similar face values, which in turn made the quarter non-existent while the two-reales remained a regularity in circulation. As a result of the lack of demand the mint temporarily suspended production of the quarter late in 1807 and would not resume again until 1815. Shortly after its suspension, German-born engraver John Reich moved to the United States to escape the Napoleonic wars and was hired as Chief Engraver at the Philadelphia mint. 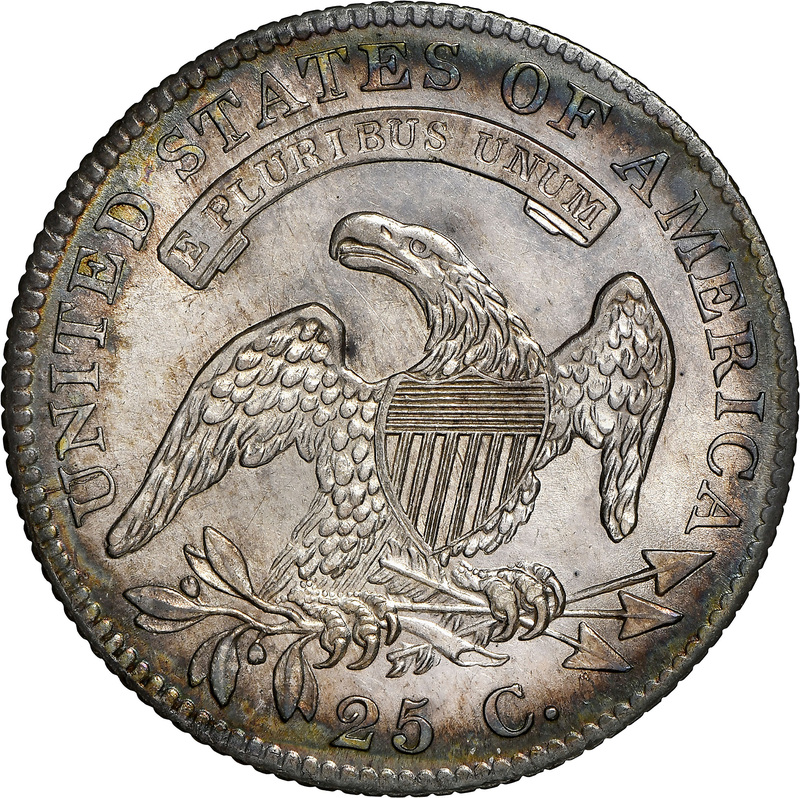 Within days of being hired, Reich was tasked to redesign coins; his redesign was first given to the half-dollar in 1807, followed by the dime in 1809, and eventually the quarter in 1815. 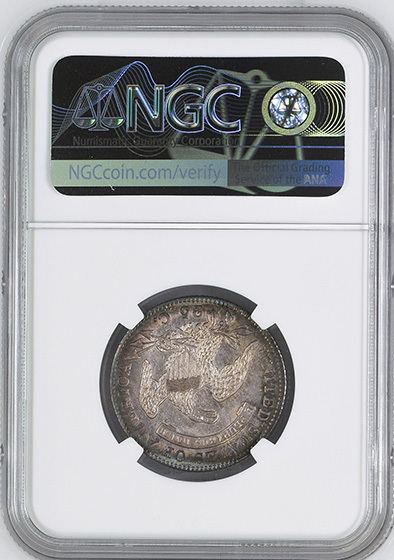 The same design was used on all the denomination of the same metal as stated in David Rittenhouses’ policy created when the mint first opened. Reich’s design featured Lady Liberty like the designs before it, but more closely resembled a European woman with robust features and a friendlier look. Miss Liberty also donned a liberty inscribed mob cap, a hotly debated garment, often worn by nineteenth century women or prostitutes and given to freed slaves. Reich also domesticated and made the eagle on the reverse look more peaceful than the previous heraldic eagle. While beautiful, yet still widely criticized, Reich’s capped bust design was more economical than previous designs as it featured fewer small details that required manual strikes, which made coins more consistent overall and preserved die expectancy. 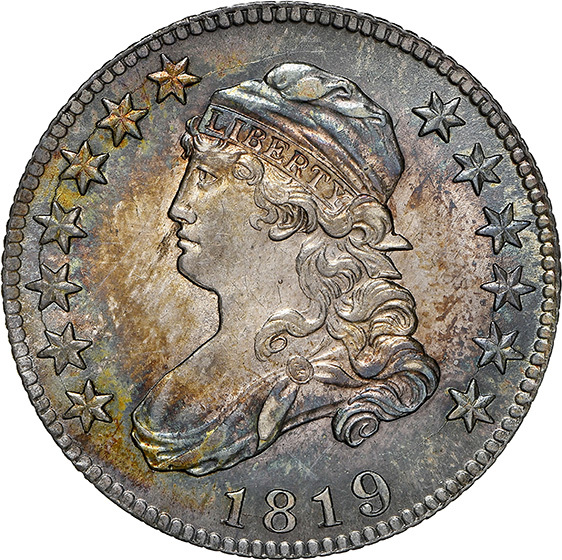 Though Reich released the capped bust in 1807, it did not appear on the twenty-five cent coin until 1815 due to low coin demand in previous years. In fact, the only reason for the 1815 strike was an extraordinarily large bank order from a New Orleans bank. Once the eighty-nine thousand pieces were struck- with the final coins delivered in January 1816- a fire at the Philadelphia mint halted production once again until 1818. The coin was once again not widely missed and few noticed its disappearance but did manage to return once again in 1819, produced for another nine years, and suspended once again in 1828. 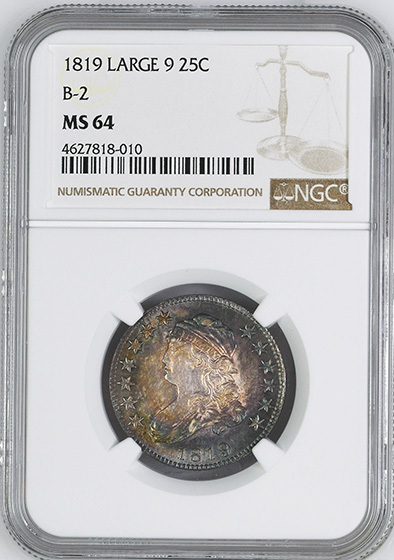 Despite the financial panic of 1819, the quarter resumed its circulation as mentioned above, but was minted in relatively low numbers as a result. The Panic of 1819 was the first of many financial panics the United States would experience and resulted in several bank failures, foreclosures, and wide spread unemployment. There was no reason pinpointed for the spontaneous crash, but many attribute it to governmental over-borrowing for the War of 1812 and a credit decrease forced upon the Second Bank of the United States to discourage poor lending practices out west. Thankfully this particular crisis did not hit the relatively young nation as hard as future financial crises would and cleared up quite quickly.